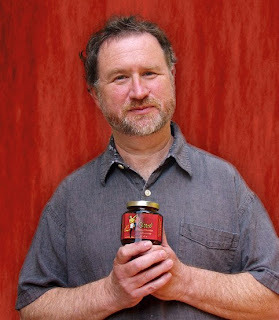 Rob Polevoi is the founder/owner of Cabaret Brewed Chocolate. In this interview, you'll learn all about brewed chocolate and how Rob plans to re-introduce it to the world. If you leave a comment for Rob, you will be eligible to win a sample of Cabaret Brewed Chocolate. Three winners will be selected on Thursday, July 24th. Good luck! How did you become interested in chocolate? I was always interested in chocolate. I was actually in the tech business. I was very knowledgeable about chocolate and made some money in chocolate confections. I had invented a new kind of filling for bon-bons that was extremely flavorful and rich and extremely creamy -that became the basis of the Cabaret dessert chocolates which was our initial product. It was very unusual, very dense, very creamy – like a ganache but much thicker and richer than chocolate ganache (that is usually used to fill truffles), almost like a chocolate cheese. Yum! Where can we try it? We don’t make it anymore. It was really, really, really difficult and really, really good. How did you got from there to brewed chocolate? I founded this company originally with a couple of other partners back in 2003 to produce some very fine bon-bons. We produced the fine bon-bons for a few years, and then one partner went off to do chocolate manufacture and I continued with another partner to develop a completely new conception of chocolate beverage and the development of it took a very long time. It took well over two years, almost three years, and we went through everything trying to figure out how to develop something that would really return chocolate to its origins. Brewing cocoa beans is actually how the ancient Mexicans and Mayans enjoyed chocolate. The word "chocolate" is derived from an Aztec word that means "chocolate water," or "cacoa water," or "bitter water." It actually meant a drink – brewed chocolate. We went through many, many, many different passes of the product to get it to a point where it revealed the psychic (the psychoactive) qualities of chocolate in a clear way. We had discovered from historical sources that the ancient Mexicans seemed to value chocolate even more for how it made them feel than for how it tasted. They often referred to chocolate as a kind of a wine. They definitely didn’t conceive of it as a dessert or as a sweet confectionary. Only the aristocracy drank it and it was drunk very much like wine is drunk, at banquets as part of a social lubrication social environment. This was all very striking - how it affected their mood and their emotional state. That was the primary reason why they drank chocolate and this is what we were working on and searching for all of this time until we finally came up with the final recipe for brewed chocolate – the product now. Everybody who’s significantly involved in chocolate is familiar with these historical facts about the ancient Mexicans and how much they valued chocolate as a mood elevator, as a relaxant. It just made them feel good. We all know that chocolate does make people feel good, but the idea here was to say, how can we take all of the best things out of chocolate from an emotional and physical health standpoint and allow chocolate to be presented as a basic beverage - an alternative to coffee, to tea, or even to wine. All of this stuff came out of thinking about the way that the ancient Mexicans actually used the drink. Do you know of anyone else brewing chocolate in modern times? No – not really, and that’s actually quite remarkable. I’ve always been surprised that we are the only people who are doing it. One would think that with as many people as are aware of this, that other people would be doing this, but they haven’t been. On your packaging, you ask, “How does it make you feel?” Have you done studies to see how brewed chocolate makes people feel? Before we released the product, we did very extensive testing. We put up a website and we invited people from all over the country to become testers for the product. We got many, many thousands of requests of which we only needed a couple hundred. Over a series of three different test batteries, every time improving the product, we determined that about 60% of the people typically would respond that they felt psychic effects from the drinks. Typically half of these would use words like "calming," "relaxing," or "mood elevating," and the other half would use words like "stimulating," "energy," or "alert." The interesting aspect of the chocolate is that to different people, it had different effects. Some people find it relaxing – some people find it very relaxing, actually; it put them to sleep. Other people find it very stimulating, almost like a cup of coffee, without the jittery quality that you find in caffeine. The primary psychoactive ingredient in chocolate is not caffeine but theobromine, a cousin of caffeine that shares some of the stimulant quality but is milder, longer lasting, and less jittery. Theobromine also has a kind of a general mood elevating quality that is associated with chocolate. Essentially, the idea was to create a theobromine beverage, just the way that coffee is basically a caffeine beverage. There are lots of other compounds in chocolate and the effects of those are very interesting and very debatable, but nothing is as clear as the effects of theobromine. So yes, we did do extensive amounts of testing and we did determine that the substantial majority of people do feel the effects. 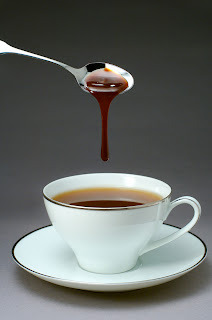 Why is brewed chocolate presented as a syrup versus a ground or whole bean like coffee? Because it takes very, very long to brew compared to coffee. When you brew coffee, it takes minutes or seconds. Brewing cocoa beans takes hours and the process is difficult because of fat in the beans and all kinds of things. To do it at home would be enormously difficult. Making the product the way that we do makes it easy to use and also provides a certain flavor that people are more used to than the flavor directly from the bean. We brew the chocolate first using the whole bean (the bean is raw). This is a very interesting aspect of it. Chocolate is always made from roasted beans. We wanted to try using the raw bean. The raw bean is so much higher in antioxidants. After doing a lot of testing with people, we discovered that very few people could taste the difference between the raw and the roasted beans when the bean is brewed. It enabled us to use the raw beans for the much better health effects (antioxidant effects) of the chocolate. We brew down the beans until we get a regular brew just the way that you would drink, and then we reduce it by evaporation until it’s thick and we add a little bit of sugar to it, also, so you don’t have to sweeten it. You can sweeten it more, but it comes out with some initial sweetness to it. People really are uncomfortable with chocolate with no sugar in it at all – it’s too difficult for them. In its highly reduced form, it’s possible then to make a cup instantly. It’s a gigantic difference. If you tried to brew these at home, you might do this once every couple of months as a kick - spend hours brewing beans. But, if you have a jar of Cabaret Brewed Chocolate, you can use it anytime you want. You just grab it, stir it up, and it’s done in seconds. Does brewed chocolate need to be refrigerated to stay fresh? No, actually we have never experienced anything going bad yet, and that’s with jars that have been over a year old. The real reason why we say to refrigerate it is (the package really means refrigerate after opening) because we’ve discovered that what people will do is lick the spoon and put it back in the jar, which will introduce mold into it. But quite frankly, refrigerating is a good caution; but in fact, I've never actually refrigerated a jar that I’ve opened and nothing ever happens to it. Does the quality of the beans play a large role in the quality of the brewed chocolate? No. Actually, that’s one of the more interesting discoveries. While the quality of the bean is incredibly important in making chocolate couverture, its impact on brewed chocolate is much much, much, much less. That doesn’t mean you can use really bad beans. We have been using Ghanaian beans which are definitely high quality beans, but we have determined that you can use much higher quality beans, like the highest quality you can imagine, like Ocumare Criollo and you wouldn’t even really be able to taste the difference. The reason appears to be the fact that the brewing process leaves the fat (the cocoa butter) behind in the beans. It doesn’t come out in the liquid as part of the brewing process that we use. Over one period of time, we had lots of issues with fat being brewed out of the bean and then having to get rid of the fat to create a clear beverage. The idea is to create a coffee-like beverage. People can already drink regular hot chocolate if they want. This is a totally different kind of drink that’s like coffee or tea. There is almost no fat in brewed chocolate. The primary taste difference between the different types of chocolates appears to be in the fat quality - the quality of the cocoa butter. Therefore, if you are not using the cocoa butter, the difference between the different beans is much, much less. We use high quality beans, but we’ve mostly determined that we can use beans that are 7 on a scale of 10. We don’t need to use beans that are 9 or 10 on a scale of 10 because there is no obvious taste difference. Do you think your brewed chocolate tastes similar to the way it used to be made in ancient times? It used to be drunk like that [like we make it], but they used to pile the fat on top of it like foam. They used to eat the foam off of it as fat. I guarantee you that people today would not like to do that. I tried the fat. In a society where they had very little meat and very little forms of fat, I’m sure they got a tremendous kick out of eating the chocolate fat. In our society, I don’t think we would. How has the interest been in brewed chocolate? We have just literally been getting started. We just introduced it a couple of months ago and we are getting our first sales. People have been finding us on the website and it’s in its first few stores. It’s brand new, brand new. How many people work at Cabaret? Will you expand Cabaret to other products? I want to focus on this right now because I don’t see this as a confectionary product. I see it as an opportunity to introduce a basic beverage to the world. It’s a very fundamental cultural change. It isn’t just like a new kind of candy bar or a new bon-bon. It’s a chance to introduce chocolate to the world in a way that it's never thought about before - as a basic drink alternative to coffee or tea or even to wine. That is what interests me and excites me, something that brings back the original reason why people used chocolate. Have you seen people using brewed chocolate for things other than drinking? You can’t prevent people. That’s one advantage of making it in syrup form. They can use it any way they want. They use it to make desserts, to make cocktails, or as a syrup on ice cream - it’s expensive but really nice. All of those uses are definitely possible for it and people do that and are welcome to do it. Have you seen anything done with brewed chocolate that really surprised you? Nothing that I didn’t expect. I think what some people have done with it with fruit sort of surprised me. I could have easily imagined it with berries – like dipping strawberries and stuff into it. But, I’ve seen some fancy stuff done with fruit desserts. It really adds tremendous punch to a fruit dessert. I would have said, while he was alive, Robert Mondavi - that would have been the guy I would have loved to talk to the most. He’s someone who did something similar to what I’m trying to do. He tried to get people to completely rethink what California wine was. When he started, people thought California wine was some kind of chump wine that nobody took seriously and couldn’t be compared to French wine or European wine in any way. When he was done, he had managed to achieve this complete reassessment of this basic drink that he had been working with. I'm definitely intrigued! I love coffee, I love tea, I love wine...I wonder if I would love brewed chocolate. Fascinating interview, Stef! Very interesting. I've never heard of anything like brewed chocolate before. Oh wow, I want to try this so baad! Next paycheck I'm going to purchase some. I know everyone already said it, but this really was very interesting. I had no idea how they consumed chocolate before. So if you're trying to classify this brewed chocolate along side coffee and tea, does it have a similar bitter taste? This really is quite amazing. Good luck! food of the gods... in tea form? that's awesome! A fat-free coffee drink... excuse me while I bow down in the presence of genius! This sounds wonderful. I can't wait to sample some. Bronwyn - No, there is no bitter taste as there is with coffee. This stuff sounds really really good! I am definitely telling my local coffee shop about it and see if they're interested. I know I'd buy it!! Thanks for the interview, it is so cool to learn about new ways to enjoy my favorite flavor! brewed chocolate sounds so intriguing and tasty! i wonder if it would be a viable coffee substitute for those looking to avoid caffeine? and thank you, Rob & Stef, for a lovely interview! I love the unusualness of this product. And I learned a little something to boot! I would love to try this. Thanks for the chance to win! I've never ever heard of "brewed chocolate" products before - didn't even know such a method existed! What an interesting idea! I wonder if it also makes a nice topping for things -- ice cream, fruit, and of course cupcakes! Wow, thats something. I have never heard of it before. Very cool. You have me very curious. Yum, great interview and blog. Brewed chocolate? That's a new one for me, but since it is chocolate I'm sure it's amazing! Another awesome interview, Stef!! Very informative and interesting interview. I will definitely have to try the brewed chocolate. I've been thinking about this so much since first reading it. It sounds so cool, yummy, and versatile! Thanks again for posting! This is fascinating. You had me at "psychoactive!" I can't wait to get everyone I know addicted to this stuff.